​May is National Stop the Bleed Month, bringing Bleeding Control (B-CON) Instructors and students together for a month of training – free of charge in many places. Go to bleedingcontrol.org to find a class. Locally, Columbia Safety in Kennewick will be holding a Stop the Bleed class on Thursday, April 18th from 5pm-7pm for free (suggested donation of $10). It looks like one that was scheduled for this month has been removed from the calendar. Additionally, on Saturday March 30th, Dr. Jacobo Rivero will be teaching a free stop the bleed class three times in Prosser. Call 786-6601 to RSVP for the March 30th classes. Space is limited. Posted on March 15, 2019 March 19, 2019 by lvassemblyPosted in TrainingTagged bleeding control, columbia safety, first aid, medical, stop the bleed, tourniquet, trauma. The Altons at Doom and Bloom Medical have an article up about Which Antibiotics to Have in Survival Settings. This material is covered in detail in their new book about antibiotics, but they have made a brief summary in this article. …If a disaster throws you off the grid, your risk of traumatic injury increases but also that of infection. When someone thinks of an infectious disease event, they envision a deadly epidemic. 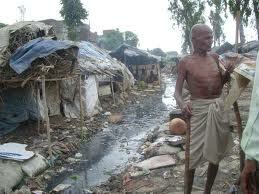 Any catastrophe, however, can increase the number of people with infections. When I say “catastrophe”, I’m not talking losing power from a storm for three days; I’m talking about a true long-term survival scenario. 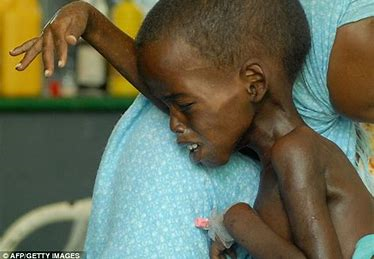 In these horrific events, dirty wounds, contaminated water, poorly prepared food, and inadequate sanitation will turn previously healthy people into desperately sick ones. With antibiotics in your medical storage, you have a good shot of nipping those infections in the bud. Not having them could lead to tragic consequences. One of the most frequent questions I receive from readers, listeners, and viewers is which antibiotics to have on hand in survival settings. I have received a flurry of these lately in response to our new book “Alton’s Antibiotics and Infectious Disease”: The Layman’s Guide To Available Antibacterials in Austere Settings. In the book, I discuss, well, antibiotics and infectious disease: The infections to be expected in those knocked off the gird and the antibiotics obtainable by the average citizen that help prevent otherwise avoidable deaths. Certainly, it would be great if you had the financial resources to have all of the medications we talk about in Alton’s Antibiotics and Infectious Disease, but that’s beyond the means of almost everyone. You’ll probably need to pick a limited number to stockpile, but which? Chances are, if you lined up 10 doctors, you’d get 10 different answers. Your choices would depend on the infections you’re most likely to encounter. Is it wound infections you’re concerned about, or intestinal infections like dysentery or cholera? Does someone in your group have a medical condition that makes them prone to a certain infection? Certainly, one drug doesn’t cure all. Click here to read the entire article at Doom and Bloom Medical. Posted on March 14, 2019 March 13, 2019 by lvassemblyPosted in InformationalTagged Alton, antibiotics, doom and bloom, first aid, medical. Doom and Bloom: Hypothermia in March? 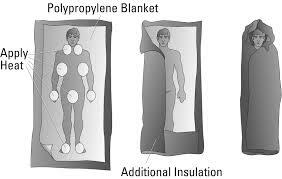 The Altons at Doom and Bloom Medical have an article up about the dangers of hypothermia and how to treat and avoid it. Twenty-five percent of deaths in blizzard conditions are due to hypothermia (the majority are from traffic accidents.) Locally, March has been a bit colder and snowier than usual, so it’s good to keep these dangers in mind. Below is only a brief excerpt. Please read the entire article. When March comes along, you might think that Spring has sprung. But old man Winter isn’t done with us yet. Although the month of March may exit like a lamb, it often enters like a lion. The Midwest and Northeast can attest to this fact from cold temperatures and heavy snows just in the last few days. Even in March, winter storms (this one is named “Scott”) occur every year in the United States; Scott brought a foot of snow to some areas. Extreme weather can cause fatalities among the unprepared. In blizzard conditions, 70% of deaths occur due to traffic accidents and 25% from hypothermia from being caught outside during the blizzard. The key word is “outside”. If a blizzard knocks you off the grid as Scott did to 60,000 people, you might be tempted to travel to someplace warmer, but that’s how most deaths occur from winter storms. If you encounter a person who is unconscious, confused, or lethargic in cold weather, assume they are hypothermic until proven otherwise. Immediate action must be taken to reverse the ill effects. Give warm oral fluids, but only if your victim is awake and alert. If so, provide a warm, nonalcoholic, non-caffeinated beverage to help warm the body. Coffee’s out, but how about some warm apple cider? Use warm, dry compresses. Use a first-aid warm compress (a fluid-filled bag that warms up when squeezed), hand warmers wrapped in a towel, or a makeshift compress of warm, not hot, water in a plastic bottle. There is much more in the article. Click here to read the whole article at Doomandbloom.net. Posted on March 8, 2019 by lvassemblyPosted in InformationalTagged Alton, doom and bloom, first aid, hypothermia, medical. Recently researching the treatment of infections without antibiotics, my investigations meandered to the – ubiquitous in our area – sagebrush plant, artemisia tridentata. It is mentioned as a boundary medicine wash in Marjory Wildcraft and Doug Simons’ video Treating Infections without Antibiotics (transcript). The following article from the blog Celebrating Gaia’s Herbal Gifts summarizes most of the information that was available around the internet about the medicinal use of sagebrush, Artemisia Tridentata-Big Sagebrush, a Valuable Medicinal Herb. It may be apropos to note that there are also a lot of non-medicinal uses for sagebrush for the preparedness/survival-minded, including for fire-starting, cordage, baskets, pillow-stuffing, insect repellant, paper-making, etc. I live in the big sky country, the high desert of Central Oregon. 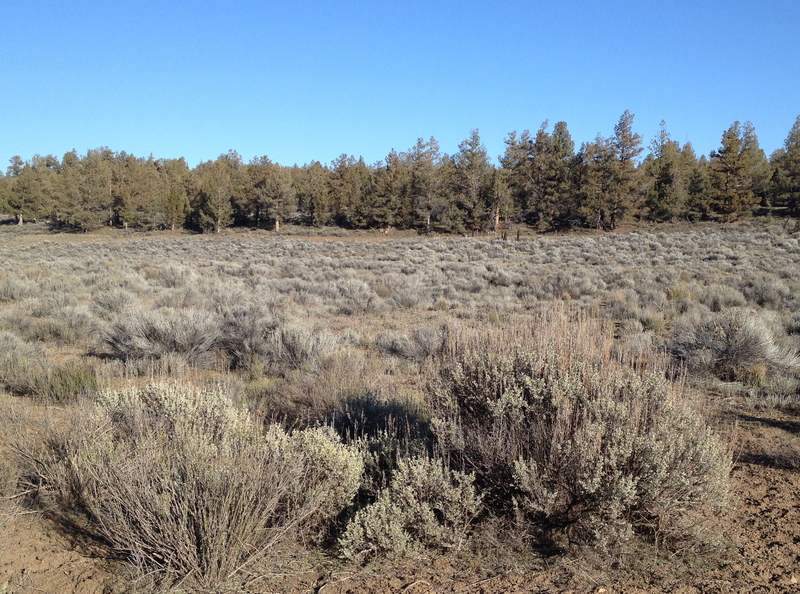 Everywhere I look I see Big sagebrush (Artemisia tridentata). The genus Artemisia comprises hardy herbaceous plants and shrubs, which are known for the powerful chemical constituents in their essential oils. 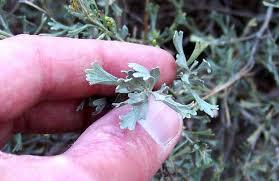 In a search of artemisia on the USDA plants database in Oregon there are 150 species of artemisia that appear. The name Artemisia comes from Artemis, the Greek name for Diana. There are any number of artemisia species that are popular in our modern herbal materia medica, from wormwood to mugwort. The intent of this post is to continue to explore my bio-region and develop herbal protocols based on the use of local plants and to that end, sagebrush (artemisia tridentata) will certainly play a role. This is by no means a definitive article but a written documentation of my search through the literature related to traditional uses and potential current applications. My exploration of plants always starts through the eyes of First Peoples/Native American’s, who have had a long relationship with using artemisia species throughout North America. 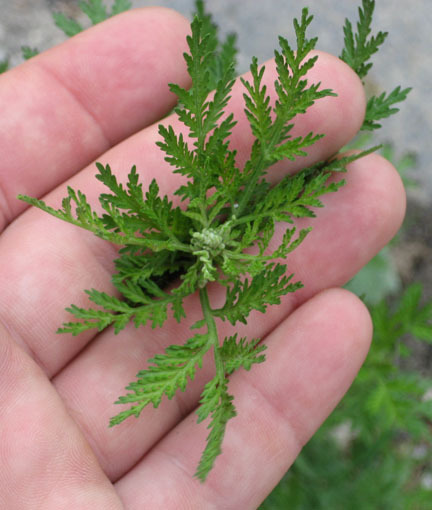 The focus of this blog is to explore the use of Artemisia tridentata, which is mostly relegated to the western states. Big sagebrush and other artemisia species are the dominant plants across large portions of the Great Basin. Any number of tribes used artemisia tridentata including tribes affiliated with my bio-region, Okanagan-Colville, Paiute, Shuswap and the Thompson. Many of the tribes used it similarly. These uses include the following: respiratory and gastrointestinal aids, cold and cough remedy, antirheumatic both internally and externally, antidiarrheal, ferbrifuge, dermatological aid, eye wash, gynecological aid, analgesic, diaphoretic, emetic, pulmonary aid, and antidote for poisoning. All parts of the plant were used including the leaves, stems, seed pods, branches and roots. It was used both externally and internally. * Externally it had many uses including: as a poultice of fresh and dried leaves for chest colds, as a wash made of the leaves and stems for cuts and wounds, as a leaf decoction for an eye wash, the leaves were packed into the nose for headaches, the ground leaves were used as a poultice along with tobacco for fever and headaches, the leaves were powdered and used for diaper rash or packed into shoes for athlete’s infection, a decoction of the leaves were mixed with salt and gargle for sore throat, mashed leaves were used for toothaches, a leaf decoction was used in a bath for muscular ailments. * There are many references to it being used internally as an infusion or decoction, but as one informant indicated it was too strong and powerful to drink, “you wouldn’t have any more kids, no children”. Internal use is not recommended due to some chemical constituents found in the plant. There are many references to artemisia being inhaled for headaches, for spiritual cleansing, to produce sweat and rid the body of colds, respiratory infections and pulmonary issues. An interesting fact is that the Paiute’s and Okanagan-Colville indicated that they used a decoction of leaves for malarial fever, which is also similar to the use of other artemisias around the world. Most of artemisia’s research as an antimalarial is focused on Artemisia annua (sweet annie). Artemisia annua is a very interesting plant and is the source of the most powerful antimalarial drug ever discovered, artemisinin. It is also being investigated in treatment of breast cancer. Many of its traditional uses can be attributed to artemisia’s active medicinal constituents including camphor, terpenoids, and tannins. Sagebrush essential oil contains approximately 40% l-camphor; 20% pinene; 7% cineole; 5% methacrolein; and 12% a-terpinene, d-camphor, and sesqiterpenoids. The essential oils present account for its use in inhalation. Sesquiterpene lactones are among the prominent natural products found in Artemisia species and are largely responsible for the importance of these plants in medicine and pharmacy. For my own purposes I can definitely see incorporating it into liniments, antiseptic washes, chest poultice, fumigation, powdered for use as foot powder. Although there is tremendous oral history of its internal use I personally would be hesitant and look to other herbal options. Adams, James D., Garcia, Cecilia., Healing with Medicinal Plants of the West. Abedus Press, 2009. Moreman, Daniel E., Native American Medicinal Plants. Timber Press, 2009. Parks, Willard Z. Notes of the Northern Paiute of Western Nevada, 1933-1944. Compiled and edited by Catherine S. Fowler. University of Utah, Anthropological Papers, Number 114, 1989. See also the sagebrush entry from Herbalpedia.com. Posted on March 1, 2019 March 1, 2019 by lvassemblyPosted in InformationalTagged antiseptic, artemisia tridentata, first aid, herbal medicine, medical, sagebrush. Nurse Amy and Dr. Alton of Doom and Bloom Medicine have the third part of a series on Deadly Viruses up at the website. This installment goes into detail about influenza, the virus that kills around half a million people each year. During a typical flu season, up to 500,000 people worldwide will die from the illness, according to the World Health Organization (WHO). In the U.S., it’s usually about 30,000, mostly among the very elderly or immune-compromised. But occasionally, when a new strain emerges, a pandemic results with a faster spread of disease and, often, higher mortality rates. Last year, 80,000 U.S. residents failed to recover from the flu. The deadliest flu pandemic, sometimes called the Spanish flu, began in 1918 and sickened up to 40 percent of the world’s population, killing an estimated 50-100 million people. Indeed, it was a factor in bringing about the end of World War I. 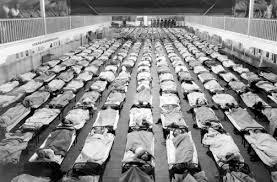 Could such a flu pandemic happen again? If a true long-term disaster scenario occurs, we’ll be thrown, medically, back to that era, so it’s possible. Despite this, many don’t take measures to prevent it. Posted on January 16, 2019 by lvassemblyPosted in InformationalTagged Alton, doom and bloom, first aid, influenza, medical, virus. 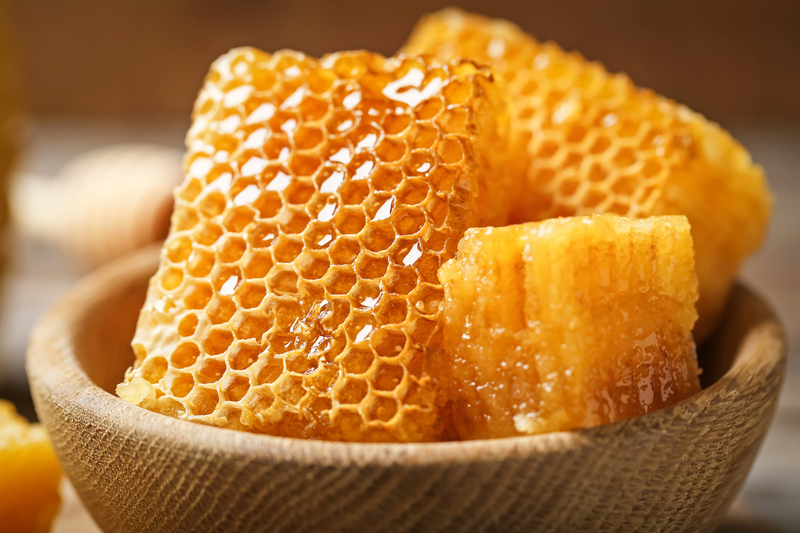 Another informative article from Jennifer is up at her Prep School Daily blog on the many benefits of honey. …A simple online search for the medicinal uses of honey yields dozens of hits, if not hundreds, including all the health benefits of honey. It’s touted for helping with all manner of problems, from acne to weight loss. We’ll stick with what honey is most especially used for in a true medicinal sense when our society has collapsed. After all, our honey supply may be limited and taking a teaspoon every day for allergies or in the evening to sleep better will exhaust our stores quickly. First off, studies have shown that honey is more effective at quieting a cough in children than any over-the-counter cough syrup. Parents also reported that their children slept better. (However, honey should never, under any circumstance, be given to a child under 12 months of age.) In addition, it should be noted that the FDA has recommended removing many children’s OTC cough syrups from the shelves because of adverse reactions. Fortunately, we have honey, which is safer, more effective, and cheaper. Just a teaspoon or two is all that is needed. And it works for adults as well. Also, honey tea does a tremendous job soothing sore throats. Just remember, when making your tea, boil the water first, remove from heat, and then add the honey. Boiling the honey itself will reduce or entirely negate many of its medicinal qualities. Click here to read the entire article at Prep School Daily. Posted on January 3, 2019 by lvassemblyPosted in InformationalTagged first aid, herbal, honey, medical, prep school daily. Nurse Amy and Dr. Alton of Doom and Bloom Medicine have the second part of a series on Deadly Viruses up at the website. 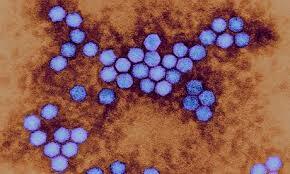 This installment gives a brief overview of several more viruses. Infectious disease is of major concern in good times or bad, and the family medic must be able to identify some of the deadliest. Having just written a book about infectious diseases and the antibiotics that treat them (Alton’s Antibiotics and Infectious Disease: The Layman’s Guide to Available Antibacterials in Austere Settings), we’ve done our research on some of the worst illnesses that can occur even in countries with advanced medical systems. There are infections out there, however, that are often fatal and can’t be treated with antibiotics. These are usually viral in nature. Last time, we talked about HIV, hemorrhagic fevers like Ebola and its relatives, plus the rodent-borne Hantavirus. In this part of our series on deadly viruses, we’ll go over a few well-known diseases, but also cover some that you may not have heard about. And if you missed it, click here for Part 1. Posted on December 28, 2018 by lvassemblyPosted in InformationalTagged Alton, doom and bloom, first aid, medical, virus. Nurse Amy and Dr. Alton of Doom and Bloom Medicine have the first part of a series on Deadly Viruses up at the website. This installment gives a brief overview of several viruses — symptoms, transmission, etc. With the current ebola outbreak now reaching into the million occupant city of Butembo, it’s good to stay informed of health threats that are out there. Infectious disease is of major concern in good times or bad, and the family medic must be able to identify some of the deadliest. Having just written a book about infectious diseases and the antibiotics that treat them (Alton’s Antibiotics and Infectious Disease: The Layman’s Guide to Available Antibacterials in Austere Settings), we’ve done our research on some of the worst illnesses that can occur even in countries with advanced medical systems. There are infections out there, however, that are often fatal and can’t be treated with antibiotics. These are usually viral in nature. What are the worst viruses on the planet? That depends: Are you looking at the total number that died from a particular disease over the course of history? Are you monitoring the number that die every year in the present, or is it the percentage of people that die if they get infected? In any case, the statistics can be grim. Posted on December 18, 2018 by lvassemblyPosted in InformationalTagged doom and bloom, ebola, first aid, hantavirus, hiv, marburg, medical, virus. Jennifer at Prep School Daily writes some nice, informative posts on a variety of preparedness-related topics. Here are a couple on using Juniper as medicine. Juniper is another phenomenal antibiotic, and it is so easy to locate. Especially here at my house on Juniper Ridge (really, that’s what it says on the local topographical map), where we have hundreds of juniper trees. It grows everywhere between the Rocky Mountains and the Sierra Nevada Mountains, so I tend to think it just grows everywhere. But it’s also a really common landscaping shrub. So if you don’t actually have trees near you, maybe you can find some of the low-growing varieties in a shopping center parking lot or on school grounds. There are something like 50 or 60 or 70 species of juniper; all can be used medicinally. The juniper berry of some varieties is quite similar in size and color to a blueberry, but most are smaller than a blueberry and much duskier in appearance, at least until they are washed and dried. But don’t get too excited about eating these berries. Sure, you can eat them. They just aren’t all that sweet or juicy or filling, any of those things that we really like about blueberries and blackberries and strawberries. The juniper berry isn’t actually a berry. It’s a seed cone. A baby tree. And that’s exactly what the green, unripe berries taste like. The old, dried berries taste like dead trees. The bluish/purplish ones, the ones you want for medicine and eating (if you really want to eat them) have the tiniest amount of flesh on them that if you think really hard about while chewing on might just have a hint of fruitiness about them. However, juniper berries do have their own grand purposes in life. Some would say their greatest use is as gin, and indeed juniper berries were historically used to sanitize medical equipment (more on that in another post). Juniper is employed in so many ways and for so many conditions that we’ll need a few posts to cover them all. Posted on December 4, 2018 by lvassemblyPosted in InformationalTagged first aid, herbal medicine, juniper, medical. 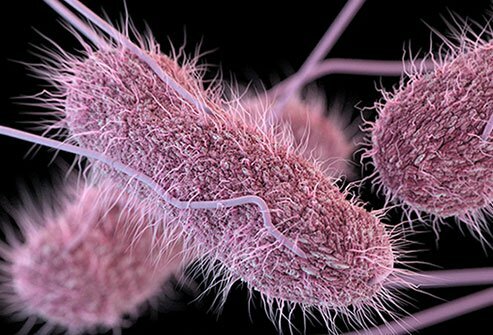 Chuck over at the Medic Shack has another good, informative article up, this time about salmonella – how to treat it, how to avoid it, what to watch for. Ceftriaxone, amoxicillin or cephalosporin are decent antibiotics for salmonella. But a caveat needs to be inserted. They are good if it is a COMPLICATED case. That means if it has entered the blood stream and is causing Septicemia. Or has passed the blood brain barrier and entered the central nervous system. This is getting way out of the realm of a ditch medic. A MD, PA or NP is needed here. Posted on November 18, 2018 November 18, 2018 by lvassemblyPosted in InformationalTagged antibiotic, first aid, medic shack, medical, salmonella.